You can probably name the top 3 websites like Google, Facebook, and YouTube, but can you mention any other ones with millions of visitors each week? This list features some of the best sites filled with things to learn online. Learn something new every day by visiting these top websites. One of the best business sites on our list is Business Insider. Obviously, Business Insider talks a lot about business but it also has a ton of other topics too. On this site, you will find finance, life, strategy, politics, and more. This online newspaper has been around since 2009 and it has locations all over the world. Business Insider is available in numerous languages. Nowadays, Business Insider gets more than 70 million visitors per month. It might not be in the top 3 sites on the internet but it’s a strong contender. Business Insider is also a company that hosts industry conferences that explore everything from business models to up and coming digital media. Once a year, Business Insider publishes an editorial that can’t be missed. You will find articles that feature things like the world’s most valuable tech companies. Business Insider is a website with a male-dominated audience that has a lot of leanings towards Wall Street and Forbes. 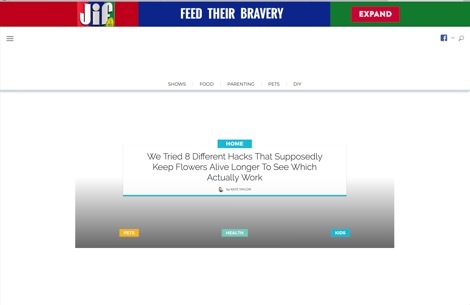 This site is one of the most read websites in the world, for more websites like Business Insider that have millions of followers each month, browse our list below. Who knows, you might find a new favorite to follow each day. Legacy is a site where stories live on long after the star has faded. This website called Legacy is where people come to see who’s passed on and to learn more about their story. 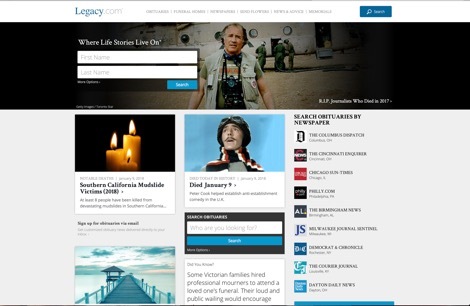 Legacy is the global leader in online obituaries. This site works with more than 1,500 newspapers and more than 3,000 funeral homes across Canada, the United States, Europe, the United Kingdom, and New Zealand to share their support for families, to let others express their condolences, and to celebrate the people who’ve helped make a difference in our world. Legacy pulls in over 25 million visitors each month. TwentyTwoWords is a site with one mission, to fight boredom and to spread happiness. 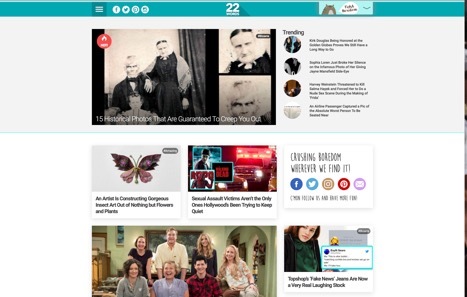 With high monthly traffic, TwentyTwoWords gets more than 16 million visitors per month. TwentyTwoWords shares a ton of articles about life and pictures about cute things like puppies and kittens. This site adds new content all the time and if you’re not sure where to start, check out the categories like funny, bizarre, amazing, and cute. This website is one of the best business sites to browse when you want a little entertainment on the go. There’s always something new to be found on this site. Ranker gets over 22 million visitors per month. 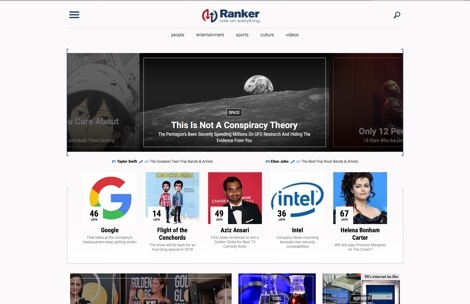 Ranker, like its name implies, ranks hundreds of crowdsourced lists. You will find ranks for everything on this site, and we mean everything. Ranker has ranked for things like revolutionary war weapons, the best chess sets in the world, and about stupid celebrities. The ranks aren’t decided by Ranker but by their community. When you sign up on Ranker for free, you will be able to start ranking their lists yourself. Put your own input into helping the world know more about what’s best and what should be avoided. Start voting on everything from long ago medical tools to the best movies of the 80s now. One of the most viewed websites for DIY projects found on our list of recommendations is LittleThings. This site pulls in over 17 million viewers per month, that’s about 5 million more than The New York Times. This site is a favorite for moms, teachers, and others who love to create cute things from stuff found in their homes and for those on a budget. LittleThings has other categories that are worth browsing too. On this site, you will find a huge collection of cute and interesting pet stories, hilarious and heartwarming parenting stories, and insanely delicious and easy to make recipes that everyone will enjoy. LittleThings is a site that will make you realize that life is about the little things. Hometalk is another one of the top sites that can help you learn something new every day. This site found on our list of the best business sites gets an average of 15 million viewers per month. Hometalk is home to a community of teachers and learners. 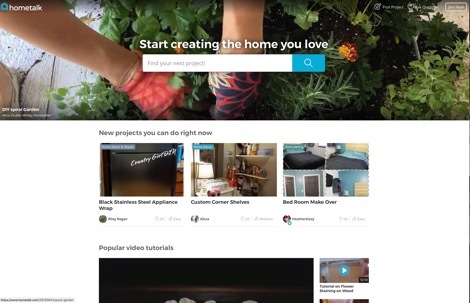 On this site, you will find thousands of how to videos and tutorials that can teach you how to do everything from repurposing old furniture to organizing your home to makeovers. Hometalk has crafts for kids and inspirational quotes that can help you get through a hard day. If you need help with anything that isn’t mentioned on this site, check out the forums to seek help from other users. Lastly, we must include this site called WorldLifestyle to our list of top internet sites that you might not know about. Like Hometalk, WorldLifestyle gets about 15 million users per month. This site features the most viral content on the internet, all in one place. 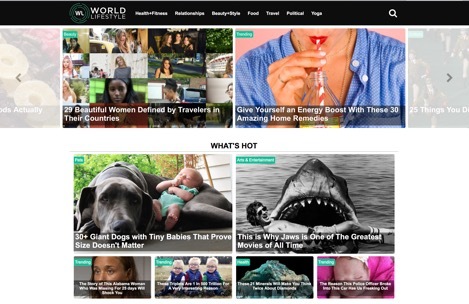 On the WorldLifestyle website, you will find inspiration, information about the brands and products you use every day and about those you need to discover, and a ton of tips and tricks on things like beauty, fitness, fashion, and wellness. WorldLifestyle delivers the latest trends and the cutting edge information that you need to know about all in one place. If you’re conscious about the products you use and about how you live, take a look at this site now, you won’t be disappointed.